1996, finished in Starmist Green with black interior. This Griffiths 500 has had just three former keepers covering a total of 48,000 miles from new, all confirmed in the car's history file. 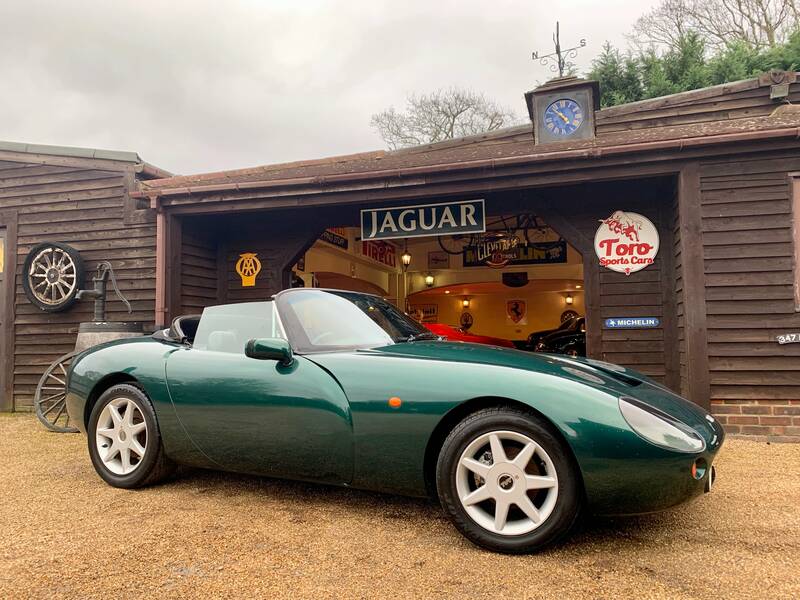 This TVR has been off the road since 2013 and now requires recommissioning. If this great oppotunity has not been taken up then this work will commence next month and subsequently will be re-advertised for a lot more money, so take advantage now. The engine is free and I have visually inspected the oil and water which is clean, I have also looked at the MOT history which does not suggest any issues with the chassis. A fantastic opportunity to own the icon Griffith for a bargain price.